Mr Bloom is one of CBeebies best loved characters & has steadily been building a fan base with pre-schoolers & their grown-ups since 2011. The BAFTA nominated & RTS Award winning show has spawned numerous spin-off series with Mr Bloom appearing on a variety of CBeebies shows. In addition to his screen presence Mr Bloom can be found performing live in a number of contexts either with his one-man stage show or with his four piece band of musical gardeners. He's appeared at Festivals, Light Switch-ons, Parades, Schools, Shopping Centres and more. So, if you have an event in mind, get in touch and lets discuss. 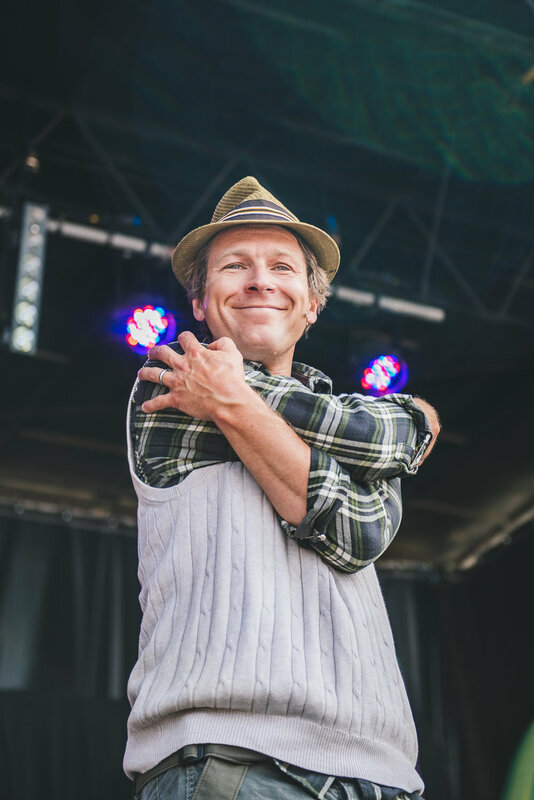 Testimonial "As a crowd-puller, Mr Bloom is a well-recognised face on our marketing materials and the shows never fail to please the crowds by delivering such a high standard of performance. From concept to design, creation to execution – this team will pull out all the stops to bring fantastic dreams to life using their skills, vision and attention to detail." This one-man stage show encompasses all the familiar songs, stories, games from the TV show & is effortlessly engaging, entertaining & educational. A perfect family act for any live event. Duration tailored to suit your requirements but typically 30 minutes. 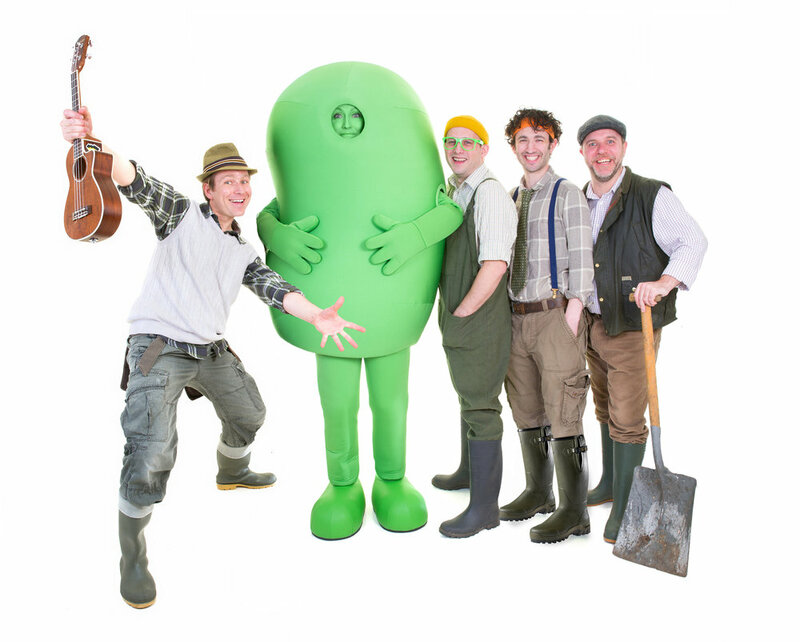 Mr Bloom & His Band are guaranteed to get families dancing and singing. The show features all the musical hits from the TV shows as well as numerous cheeky covers including Queen, Guns n Roses & Vanilla Ice. There’s plenty of audience participation led by Mr Bloom’s trademark humour, along with a special guest appearance from ‘Peggy the Dancing Bean’, (cue the ABBA cover). They can be unplugged or plugged to suit the occasion at hand. Duration tailored to suit your requirements but typically 45 minutes. For more details please get in touch. Creative Producer Mimi Faulks has 12 years of experience designing and delivering family friendly activities for public events. Workshops are always ‘make & take’ for the participant and currently feature ‘funky trilby style gardening hats’ much like CBeebies Mr. Bloom might wear. Workshops are delivered by our dab-hand facilitators and are set within an endearing garden themed area which is surrounded wooden picket fencing and decorated with colourful bunting, brightly decorated flowerpots and Welly boot planters. Participants are given an authentic child’s trilby hat and invited to take a seat at a workbench. Children decorate their hat to their own design, choosing a hat-band and utilising the array of recycled craft materials available to create a decorative trim. Once done, the hat is ready to wear straight away. The visual impact this workshop can have on its location is huge. The sight of hundreds of mini Mr. Blooms dotted amongst the crowd wearing their unique hats is vivid. Adding a costume making activity such as this can provide a presents that’s fun, visual and a delightfully interactive element to your event. For more information please get in touch. The popular CBeebies character Mr Bloom and his Veggies are about to embark on their first ever live theatre tour! The much-loved TV show Mr Bloom’s Nursery will be transformed into a live stage show retaining all of the core fun, inspiring and educational values but with a brand new storyline, Mr Bloom and his Veggies are getting ready for a very special occasion. A member of the Royal family is paying them a visit! Mr Bloom (played by Ben Faulks) will be joined by all his gardening friends, The Veggies: Margaret; Joan; Colin; Raymond and Sebastian, the lovable radishes ‘The Wee MacGregors’, and not forgetting Mr Bloom’s trusty machine ‘The Compostarium’. ‘Little Tiddlers’ will also be able to sing along to all their favourite songs: the title song, ‘Meet The Veggie’s, ‘The Compo Song’ and’ Night Night Veggies’. Running Time: Act 1 – 30 mins. Interval 20 mins. Act 2 – 30 mins. Age Restriction: None. Predominantly aimed at children aged 2 – 7 year olds. CBeebies Live! The Big Band was an arena tour featuring a whole host of CBeebies characters. This was a large-scale show based on the idea of all the characters forming a band. It was packed full of big song-and-dance numbers, huge AV effects and lots of audience participation. It was an immense show, and a real pleasure to be involved in. 12 shows at nine venues over Easter 2014. 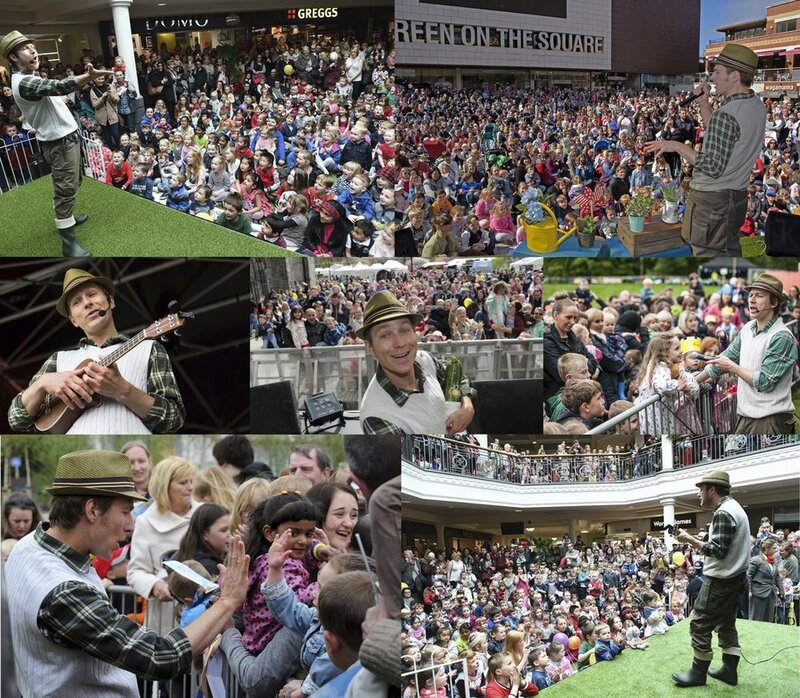 Mr Bloom & Friends' Big Day Out was a festival for children and their families that toured during the summer of 2013. BBC Learning created a large-scale event featuring appearances from Rastamouse and a host of CBeebies presenters. It featured music, storytelling, games, dancing, and was headlined by Mr Bloom and the Veggies performing the stage show When Julian Lost his Wiggle. 123,000 people attended the festival, over 18 dates with more than 55,000 seeing the Mr Bloom stage show.